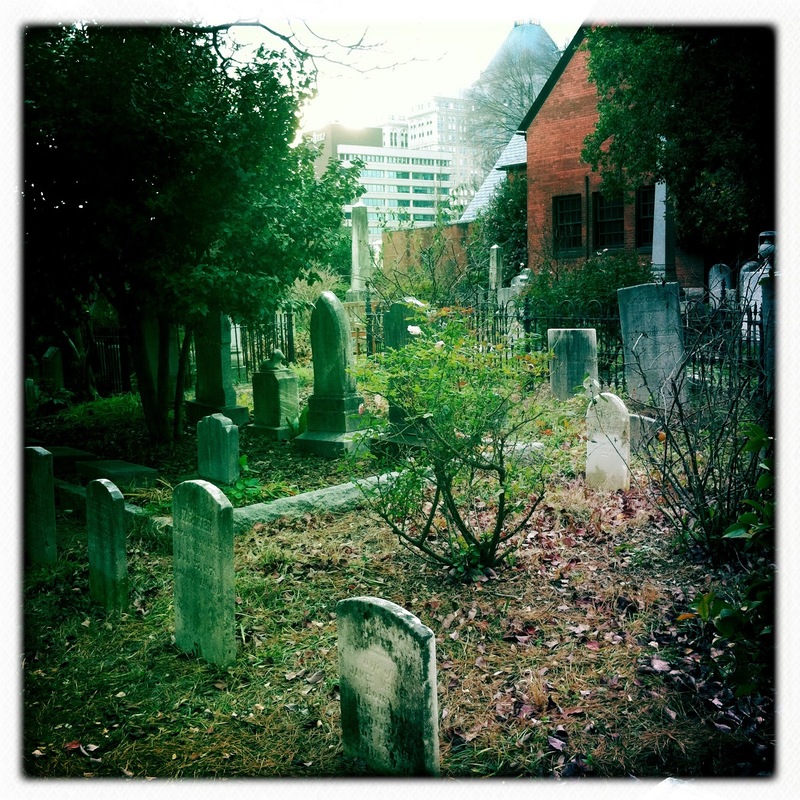 This somewhat hidden cemetery is nestled in the heart of bustling downtown Greensboro, North Carolina on the site of the First Presbyterian Church, which now houses the Greensboro Historical Museum. 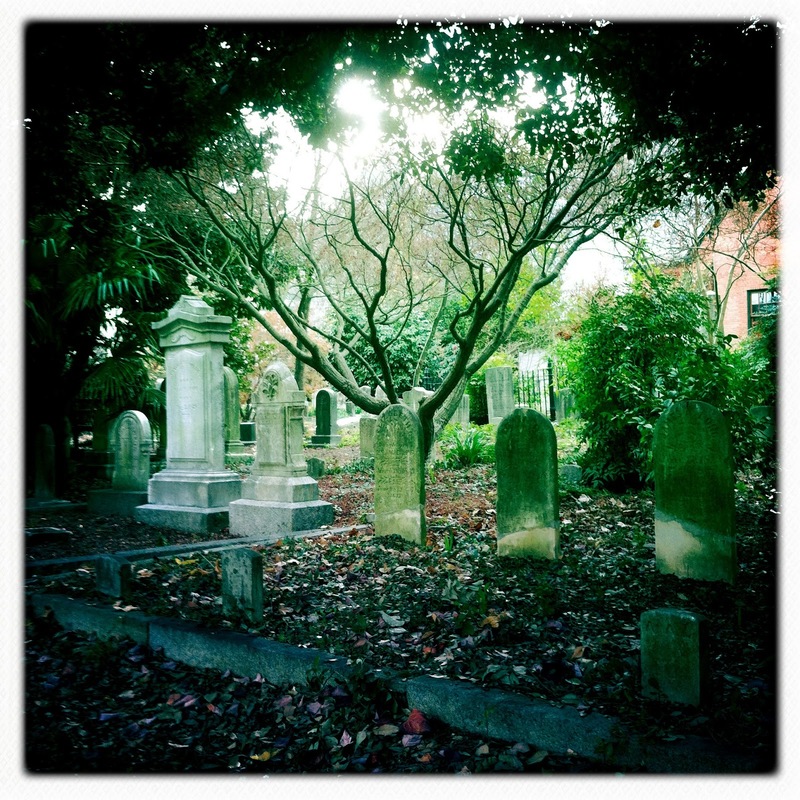 I found out about the graveyard when searching for cemeteries that I could visit during day trips. Not being from Greensboro, I didn’t even know about the existence of the museum, even though I’ve been to other sites in the nearby vicinity. The entrance to the cemetery is through the gift shop exit, which is pretty clever since upon leaving I purchased a book about the people buried there. Do you remember the wonderment you felt watching the scene from The Wizard of Oz when the film transitions from black and white to color? That’s how I felt when I stepped out into the cemetery. The space is somewhat compact for there to be over 300 estimated burials there, but due to restoration efforts and the planting of numerous trees, flowers, ground cover, and shrubbery, the graveyard has more of a garden feel than just a burial space. Interments took place there from the 1800s to 1926, when the last person, Fannie Sloan Logan, was laid to rest. 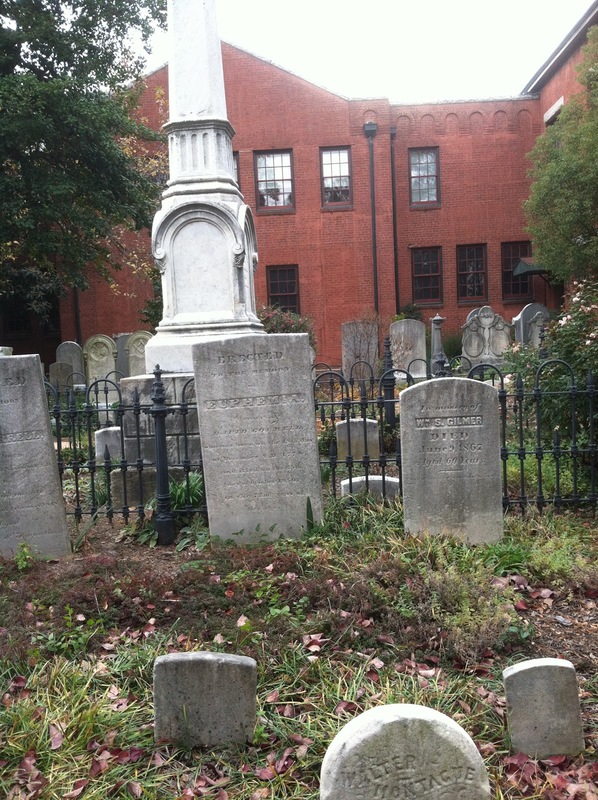 Some of the more well-known people buried at the First Presbyterian Church are Governor John Motley Morehead, O. Henry’s parents, and a few congressmen. This is the final resting place of veterans of the Revolutionary War, the War of 1812, and the Civil War. 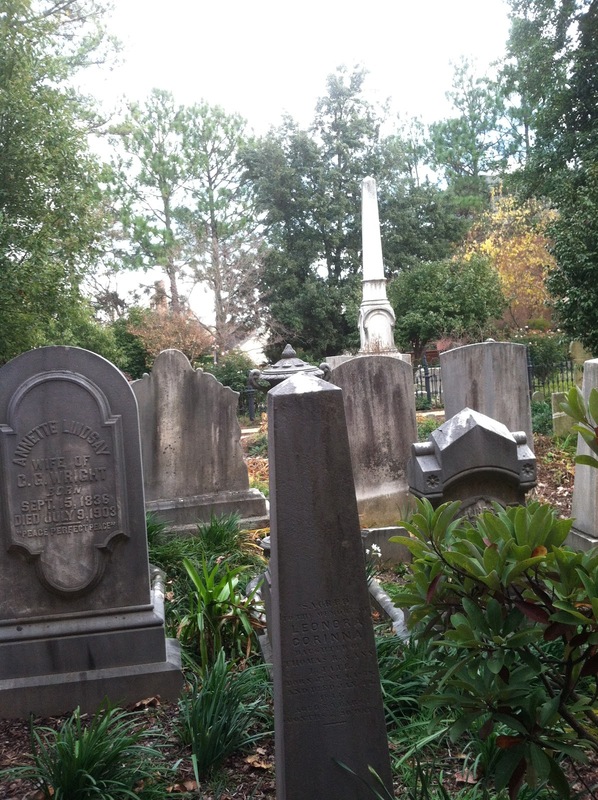 There are also family burial plots whose tombstones give you a glimpse into what life was like in the mid to late 1800s. 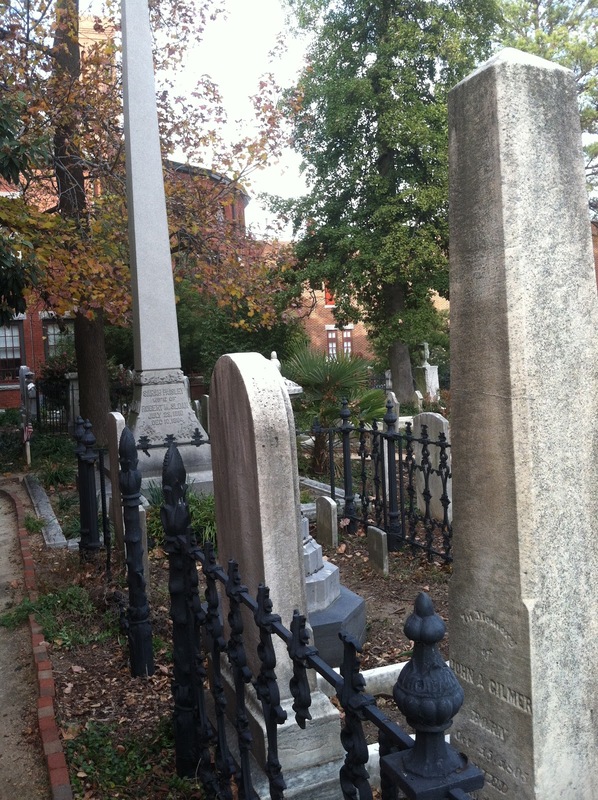 A number of adults and children buried there died from conditions like scarlet fever, typhoid fever, childbirth complications, and consumption. 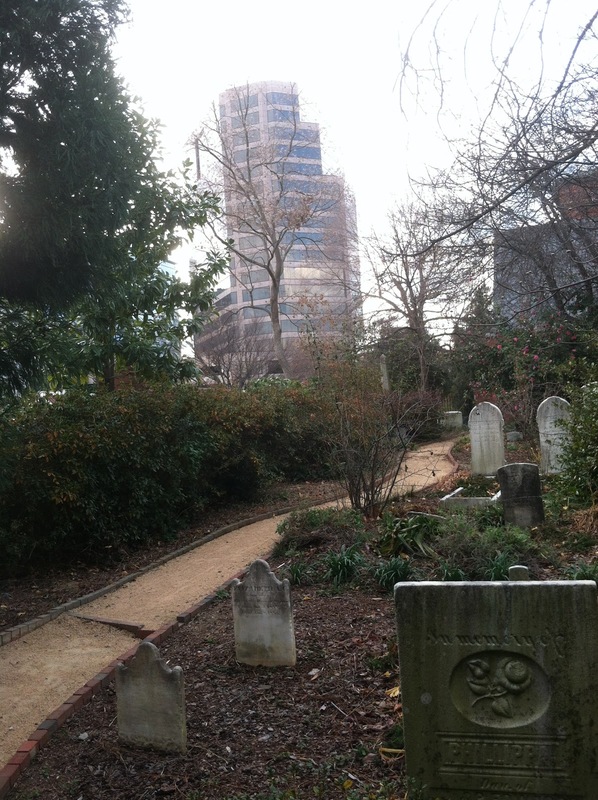 The juxtaposition of the old tombstones against the backdrop of modern urban Greensboro. Some of the family sections were marked off by ornate iron fencing. I would love to visit this cemetery again in the spring, when the flowers and plants are in bloom and vibrant. I photographed many of the headstones and plan to write more on them once I’ve done more research.